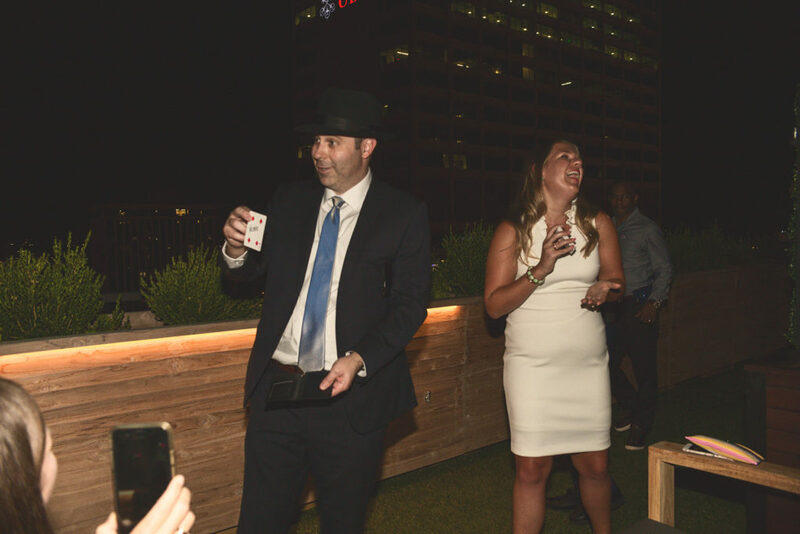 The end of July was the grand opening party of The Fairlane Hotel downtown Nashville. 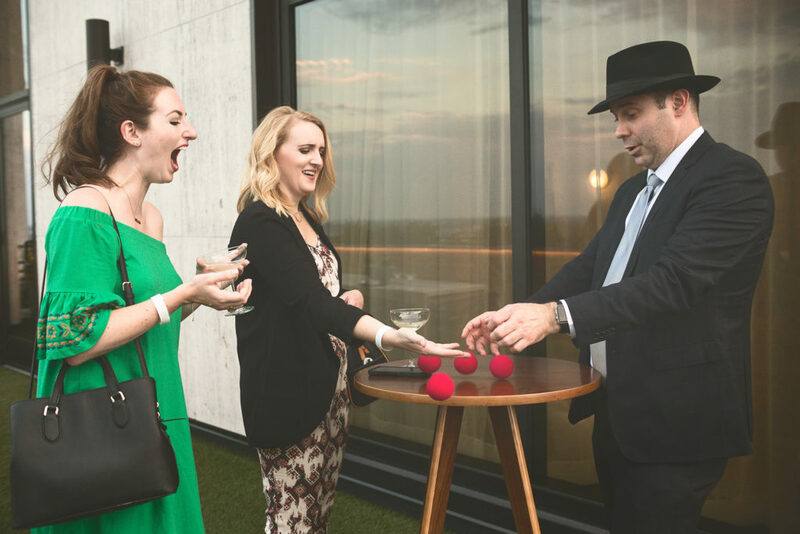 I was hired to perform strolling close-up magic at the VIP party in the penthouse. It is a beautiful hotel, the video above shows a walkthrough of the penthouse. There is an outdoor area that goes around three sides of the hotel and you can a lot of downtown Nashville. What a fantastic place! This opportunity came about when I was contacted by Kara McKenna of Quinn PR. Kara, an Associate Vice President, contacted me and shared that Quinn is hosting the VIP party at the grand opening of The Fairlane Hotel in Nashville. 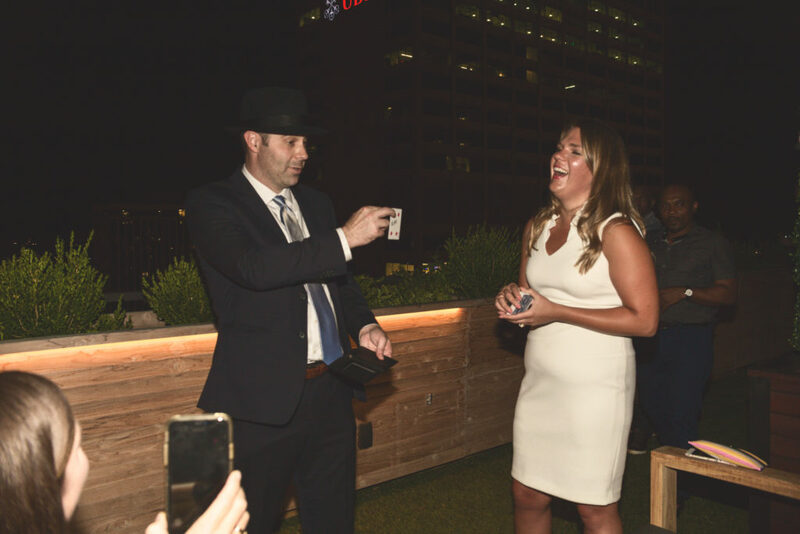 She wanted a magician to be a part of the entertainment for this event. Quinn PR is a leading public relations agency based in New York City, Miami, and Los Angeles. 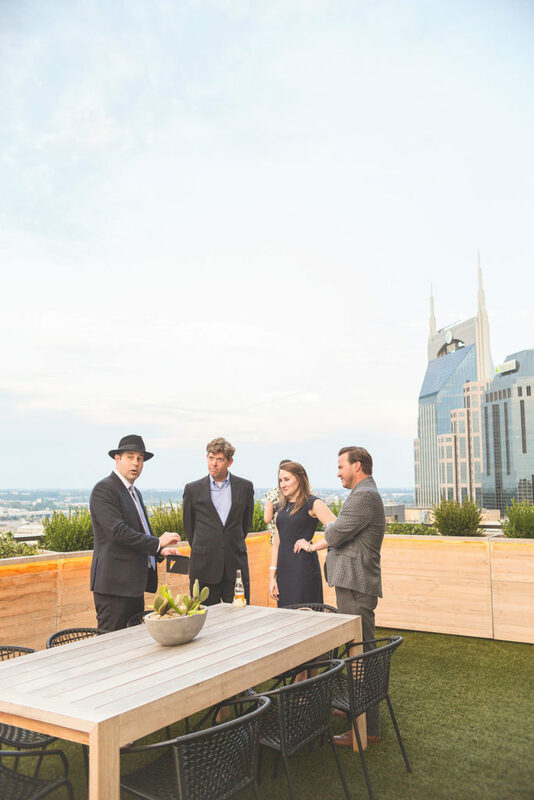 They also do on location events for their clients like this one at The Fairlane in Nashville. I was thrilled to get to be a part of this event and work with Quinn at The Fairlane! Nashville Photographer Jordan Hampton was at this event and got so many great photos! 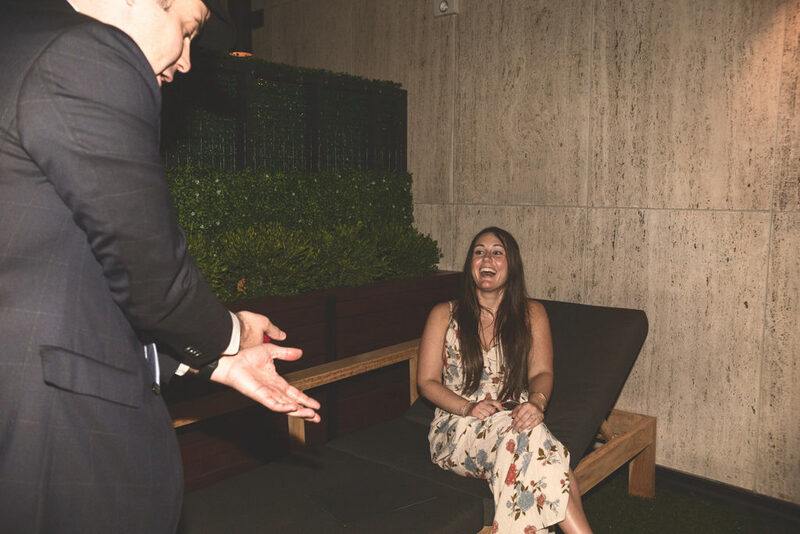 I was really impressed with Jordan, she did a great job of getting photos of me performing magic and more importantly the delightful reactions of the guests there at The Fairlane witnessing the magic. 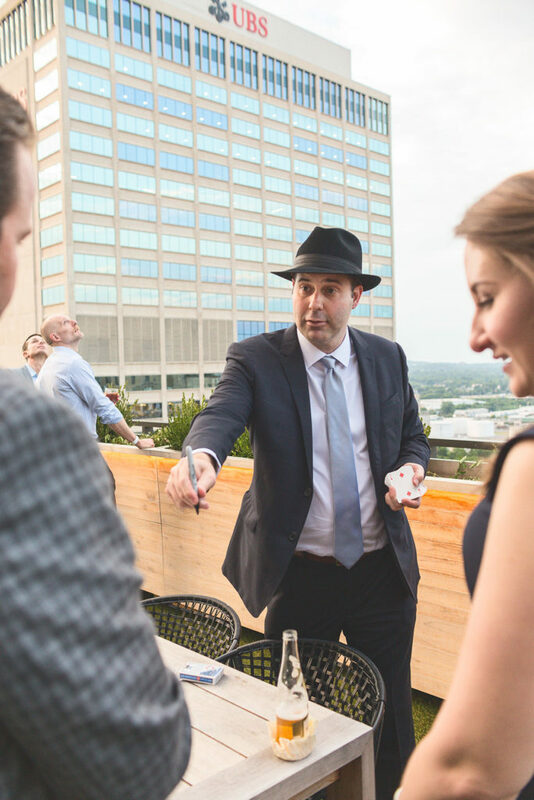 If you are looking for a photographer I highly recommend Jordan Hampton, just look at the reactions in the photos – great photos and great magic! The Fairlane has a very unique sense of style. It is retro modern but still very warm and welcoming. You can get a sense of the style from the video and photos but you really must be sure to visit. The great thing about when I perform close-up magic is it is so interactive. 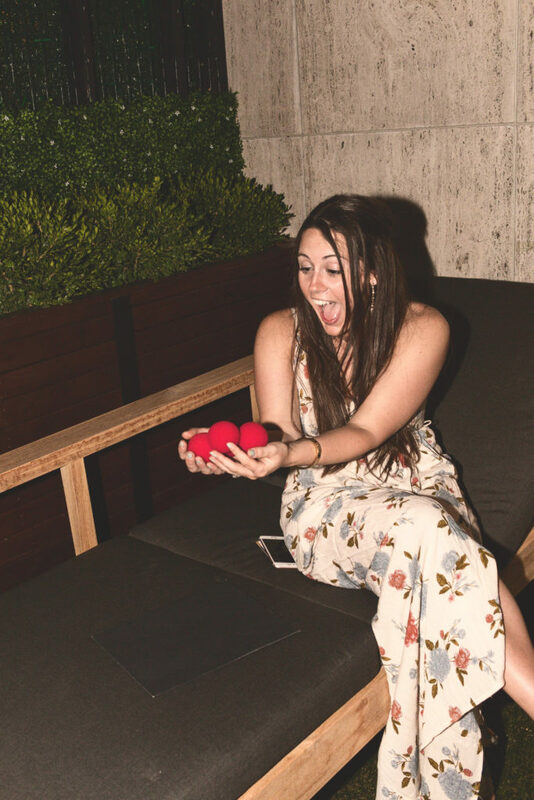 Much of the magic even happens in the hands of the guests! 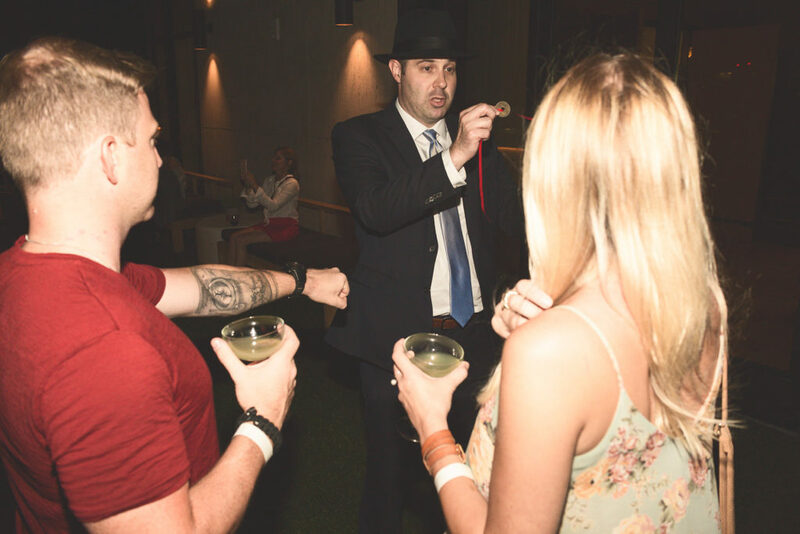 This is a truly unique experience and many of the people I perform have never been a part of this style of magic.